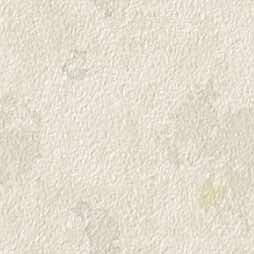 who travelled extensively in Yugoslavia in the 1960's. The track layout in Sarajevo in 1966. The standard gauge line terminated at Sarajevo Novo (new) station at the top. 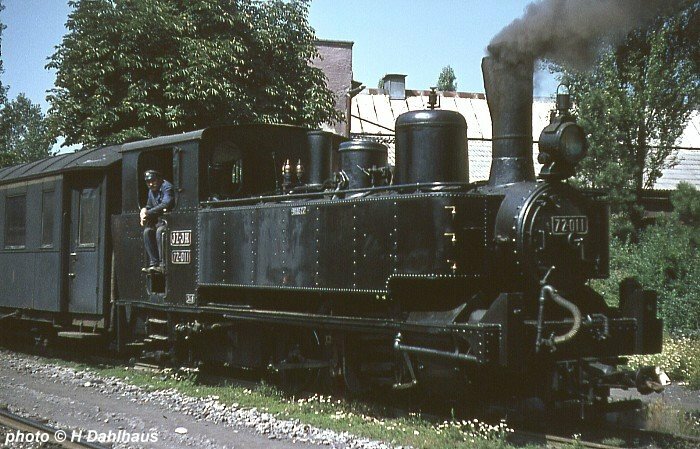 All other lines shown are narrow gauge (schmalspur). 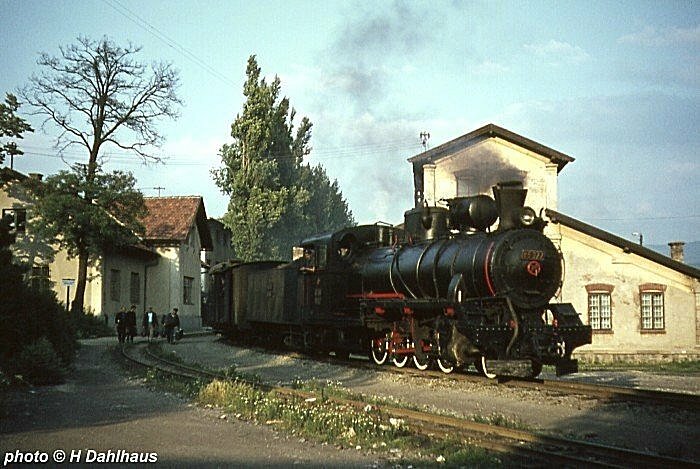 In 1954 a 1Km extension was built to Sarajevo Novo standard gauge station where this photo is taken. 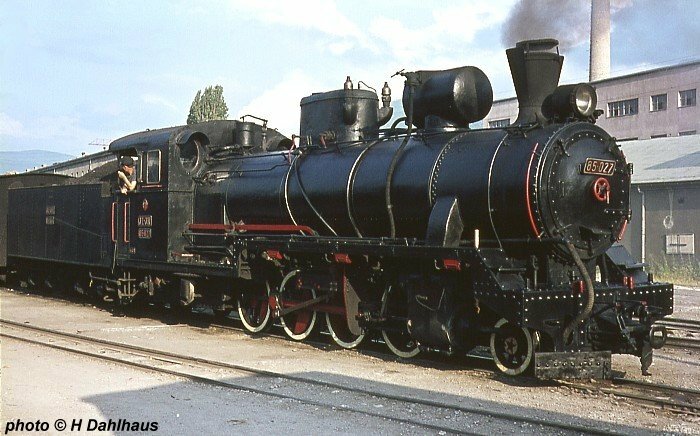 It shows 2-8-2 85-043 (Slavonski Brod 30/1940) about to leave with the 09.35 to Hum (arrive 19.56), a journey of 246Km. 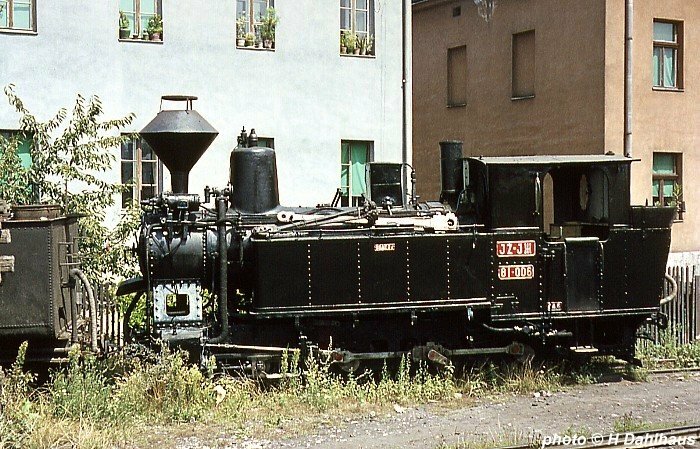 Above the 6 wheel van on the left can be seen the front a General Motors built Co-Co diesel on a standard gauge train. 7th August 1966. 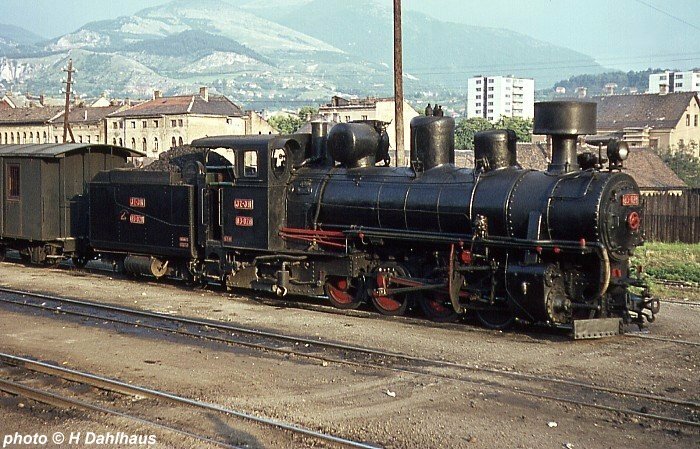 This is 85-031 (ex SHS 1531, Budapest 5060/1931) after arrival at Sarajevo with the 22.21 from Cacak on 7th August 1966. The building in the background between the narrow and standard gauge was the new post office. 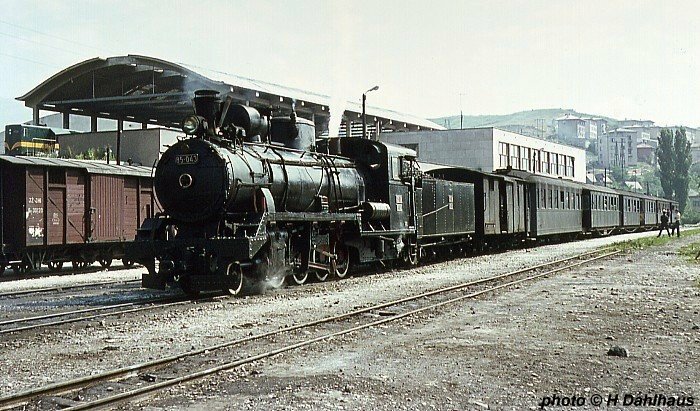 85-027 is ready to work train 16, the 17.22 Sarajevo Novo to Ploce - arrive 02.38, 7th August 1966. 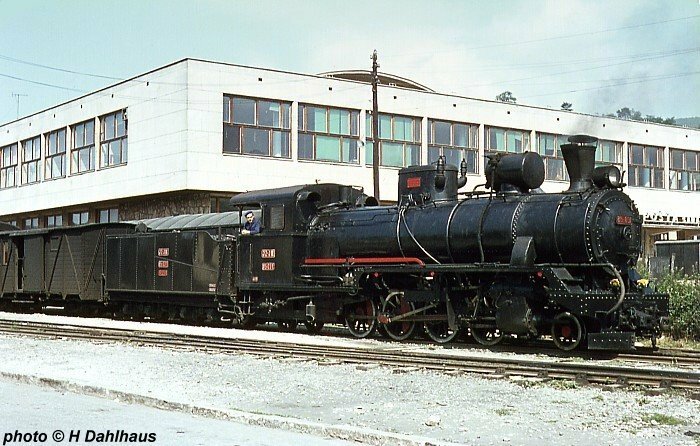 How could I resist this shot of 83-028 (ex SHS 1328, Budapest 4990/1929) bathed in the evening sunlight in the old station? 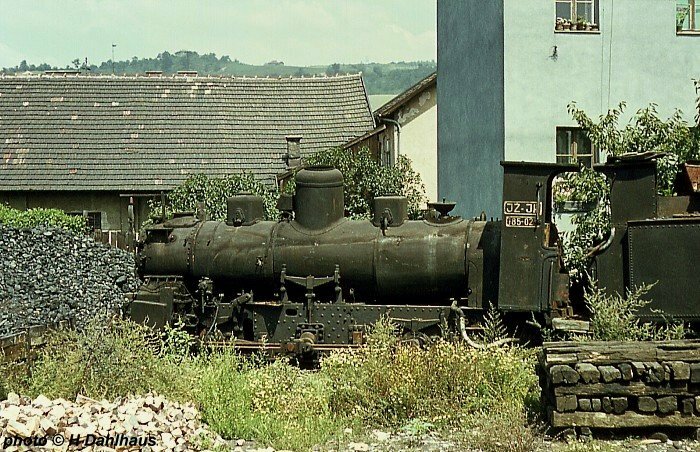 7th August 1966.
in the narrow gauge yard, 11th August 1966.
built and they were also found in Romania. 11th August 1966.
had the Klose mechanism removed. 11th August 1966.